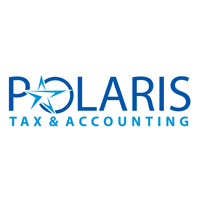 Polaris Tax & Accounting is a forward thinking Accounting Firm serving clients throughout the United States. We are proactive in everything we do and specialize in Real-time Cloud Accounting, Proactive Tax Planning, and Tax Preparation. We work with you throughout the year and use cutting-edge technology to keep you ahead of the game. We help clients take a proactive and forward thinking approach to their business Accounting and Taxes. Clients of Polaris Tax & Accounting connect to a range of banks via Xero. Polaris Tax & Accounting specialises in working with some of those banks; they can help with setting up bank feeds, and are knowledgeable about accessing bank loans and streamlining payments through Xero. Polaris Tax & Accounting works with businesses across a range of industries. They specialise in helping to choose apps that integrate with Xero to boost business performance for some of those industries. Polaris Tax & Accounting serves clients who use 5 different apps that connect and integrate with Xero. Xero is beautiful online accounting software for smaller businesses. Polaris Tax & Accounting can help make your switch as smooth as possible.